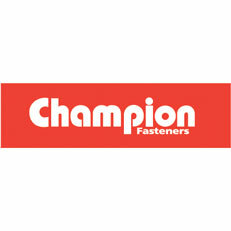 Champion Parts has been in the business of selling fasteners for over 45 years. In this time we have learnt the importance of only supplying the best quality available. Our products are widely used in the automotive trade,mining, industrial and retail markets. We are one of the most recognised suppliers of fasteners to the retail industry. We have developed a specialised selling system to suit the retail sector with blister packaging, easy to follow reordering process, and thread testers. Our merchandisers not only look the part in any store but are functional and have a great return for the floor space required. At Champion Parts we are proud to only supply the best quality and we stand by our product. Champion Parts is accredited to AS/NZS ISO 9001 International Quality Standards and is committed to excellence throughout our organisation.